Year 2 had a great time at their Christmas party singing, dancing and of course enjoying a visit from Santa! 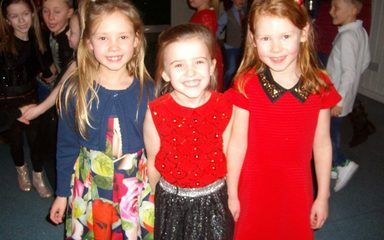 Everyone looked fabulous in their special Christmas outfits. 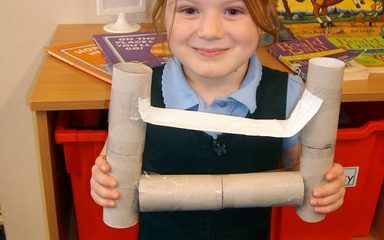 In DT Year 2 have designed and built models of London’s famous landmarks. We made models of Tower Bridge, Big Ben and the London Eye. 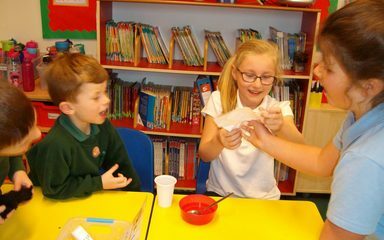 In Science Year 2 planned and carried out an experiment to find out which materials are waterproof. 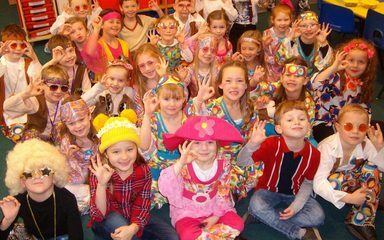 Year 2 had great fun dressing up in 1970s outfits to celebrate Clover Hill’s 40th birthday! Well done to all the year 2 children who made wonderful posters and put themselves forward for our school’s pupil parliament. 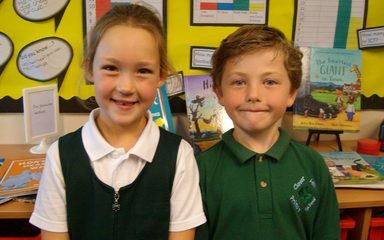 Congratulations to Rosie and Harry were voted in by Year 2. We are sure they will do a wonderful job.